The goal of your South Granville Business Improvement Association is to make the South Granville shopping district the best in the city with multiple opportunities for merchants and property owners to succeed. In 2018 the SGBIA conducted a Business and Property Owner Survey in order to hear from you – our stakeholders. Click Here to read the report and see the results of this survey. 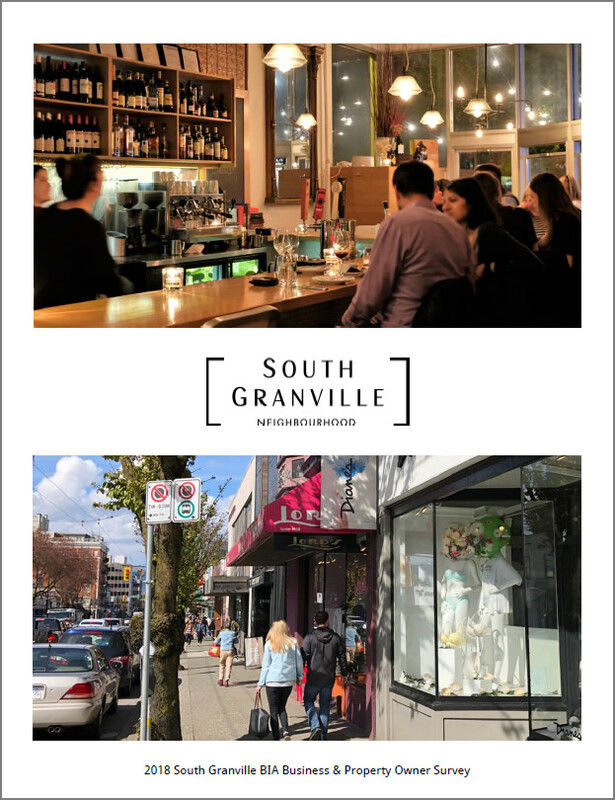 South Granville is a welcoming, vibrant and prosperous destination that offers a unique, authentic and high quality experience. To make South Granville the destination of choice for shopping, dining, entertainment, and other services; and to act as a catalyst for vibrancy and prosperity in the area through advocacy, marketing, events, improvements, and co-operative initiatives. be an advocate and voice for South Granville business and a catalyst for action. be accountable, fiscally responsible and transparent. be led by an involved and visionary Board, representative of a cross-section of South Granville interests. work to strengthen South Granville’s position as the shopping destination of choice for Metro Vancouver. consider all sides of relevant issues to maximize member benefits. Maintain and enhance working relationships with strategic partners to develop innovative approaches to street issues eg. City of Vancouver, VPD, Coast Foundation etc. Pursue street enhancement opportunities through banner excellence, street furniture, landscaping, way finding, murals and decorative lighting.